What Do Retailers Look For When Leasing Real Estate? Big realtors usually have teams of professionals dedicated to researching and selecting real estate locations to plant their new stores. The new location must be ideal to fit the brand’s image, hit sales goals, and ensure growth for the company. Below you can find the set of non-exhaustive criteria retailers use to select locations. 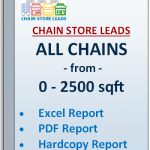 For landlords searching for retailers, Chainstoreleads.com offers lead packages to help you find your ideal retail tenant by square footage criteria. Square footage is the first and foremost criteria retailers will ask about a property before any other question. Does the shoe fit the foot? If not, the retailer cannot be reasonably expected to pursue further interest. However, retailers generally are somewhat flexible with square footage as usually they are willing to work within an acceptable range. Can the highway or road support the new retail location? What is the company’s internal car count requirement? This is important for real estate specialists to gauge whether the new store can hit expected sales goals. Most of the time, landlords can find this information from the local road department. In addition to traffic count, has the traffic count been slowing or growing in recent years? Many retailers require a minimum number of parking spots for its new store. Grocery stores will require a higher amount of parking spaces compared to a mattress store. If your location meets the square footage and traffic count requirements above, can your location also support tangible traffic actually coming through the door? If so, onward! How many linear feet is the front wall of your retail space? Brands want as much exposure and command as possible to draw eyeballs from the road. Is your space wide enough to fit the company’s sign? Is it wide enough to fit the minimum number of shelves or restaurant tables inside? Now that you can narrow down which stores can actually fit in your retail space, retailers want to know who will be buying from them in the area. Do you have the retail location in a high income area that would be ideal for jewelry stores or Mercedes dealerships? How many people live within a 5 minute drive, 10 minute drive, 15 minute drive? Demographics are extremely important for brands to align with their target audience and ensure enough traffic coming in through the door. Retailers want to know if their space will be in a strip mall, freestanding pad, a mall, or regional mall. Different retailers will have different preferences, and some may opt to even build the freestanding pad at no expense to the landlord – in exchange for a 20 year lease. A bit of research on the brand can tell you if the retailer has preferences on the type of space. Typically, a lease will include a non-competition clause where the same retail location cannot also lease to a competing business. The same strip mall leasing to a Dunkin Donuts will not be able to lease to another business that sells coffee.In addition to the intra-competition, retailers will be looking at nearby competition from the same road, and within a radius of the proposed retail location. An autoparts store will be hesitant to lease a location when another autoparts store is directly across the street, which would substantially impact revenue. Is the retail location on the AM side, where commuters go to work, or on the returning side from work? Coffee shops will specifically look for AM sides of the road because commuters will want to enjoy a cup of coffee on their way to work, and liquor stores might enjoy the PM side where commuters might pick up a bottle of wine on the way home. A factor that is out of control for a landlord, but still relevant is if his/her retail space is within the retailer’s expansion plan geographically. A South-West brand with 200 locations might expand Mid-West US, instead of East Coast US. Knowing the retailer’s expansion plan will help if your property is relevant to the retailer’s geographic consideration. The amount you charge your tenant will effect whether the retail will move forward with leasing from you. When deciding on a proposed price for leasing, take into consideration other local market rates, industry trends, factors included in the blog posts, and the prestige of your retail space. Expect to negotiate from your starting point, as this shows the landlord is flexible and easy to work with. So there you have it! 10 factors that retailers take into account when deciding on a retail location! 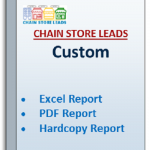 A great way to market to retailers that fit your specific square footage is to use Chainstoreleads.com’s retail lead packages. Our e-packages range from $449 – $1,198 and have helped many retail landlord clients in the past achieve a leased retail space. Where is the commercial real estate market going? Today we are seeing more vacant malls than ever. Drive outside any city and you’ll see malls that are desperate for tenants. And the tenants are nowhere to be found. Drive further into a rural area and it’s even worse. The commercial real estate market across the United States is seeing a real challenge that seems to have an unsolvable solution. First let’s ask ourselves: Why is this happening. The answer to that is complicated. There are quite a few reasons why malls are closing their doors. First, the technology revolution. Take bookstores for example. Local bookstores used to be everywhere. Amazon.com began its carnage with becoming one of the first online book stores. Most people thought it was stupid and would never work. Fast forward to 2016, and it’s one of the biggest business success stories in modern history. Technology is allowing consumers access more convenience and therefore, a trip to the mall isn’t worth it. Think you’ll find the exact book you’re looking for at your local book store? Probably not. If you have tried it, you probably ended up disappointed and found that you wasted $5 in gas. Most consumers are willing to wait the two days for “free shipping” and have the book show up right at their door. So technology is two fold: 1) it offers more convenience and 2) it’s less of a risk. Another answer is the merging of major corporations. As larger businesses gain a larger market share and merge/buy out other companies, more outlets seem to disappear. Banks have been doing this for years. Did you know Bank of America purchased Merill Lynch, and Wells Fargo purchased Wachovia in 2008? Well, most people would say “Hey, well all the Wachovia Signs would just become Wells Fargo signs and the locations wouldn’t move!” Well yes, to an extent. When one company buys another, the purchaser is making the purchase for several reasons. 1) to limit the competition in an industry 2) to gain competitive advantages (patents, secrets, etc) and 3) to lower overall costs. Usually, when one company buys another, it has plans in place to make that merger profitable. And this could mean reducing the less profitable outposts. And in turn, your local mall owner’s space that has been outfitted for a bank’s drive thru is now vacant. Demographic movement is another reason why the commercial real estate mall market is suffering. There has been a broad change of population movement in recent years. People are moving South. Virginia, North Carolina, and Texas are all experiencing positive population change. Why? One answer is the cheaper cost of living. Another is the nicer weather. States tend to offer incentives for people to move into their state. While New Jersey offers one of the highest property taxes in the country and people are looking elsewhere, Texas is offering extremely low tax benefits for businesses that decide to move to their state. The answer to the population movement South lies in geographic, political, and economic reasons for change. Another population movement currently taking place is the wide movement to cities. Opposed to the “white flight” that happened 6 odd decades ago, there is now a movement where families are moving back to the cities. The jobs are there, and the cities are clean. Take all this into account, and you can imagine a broad movement of where you should purchase retail property and where you should not. Surprisingly, architecture is another reason why malls are becoming more vacant. The classic mall is the image of the 60’s and 70’s. To flourish today, a mall must offer amenities and almost become a destination. Lifestyle centers are booming. Not only do they offer shopping areas and food/drink stores, they also offer apartments, outdoor lounge areas, and a quality mix of retail tenants that accomplishes both work and fun. As millennials start their lives, they value convenience in the world of technology and want all their problems solved in one place. The answer is lifestyle centers. So what would an expert in commercial real estate advice you to do? (In no way am I offering financial/investing advice – I would seek your personal financial adviser before making any decision in real estate). That being said, I’m looking into the future. Self-driving cars are on its way within the next 15 years. This means people will be able to sleep to work, and the jobs will still be in the city. Urban areas will continue to flourish. Suburban areas will deteriorate. Rural areas will see a rise in property values, but still wouldn’t be a very good area to have a mall. My suggestion is to look at urban/metropolitan areas for retail real estate or commercial real estate investments. Secondly, with population movement in change, urban areas make sense and so do populated southern cities in the US. This includes Dallas, DC, and Raleigh. See the census’s website for interactive maps that will help you determine where there is positive population change. And lastly, I would find a plot of land that has enough of a population where jobs are moving in while the population can support a lifestyle center. Retail real estate has now became adhesively attached to residential. 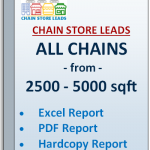 PS: For a list of retail tenants that may be interested in becoming your retail tenant, see www.chainstoreleads.com and browse their packages! They have helped many mall owners and they deliver a quality product that has brought success to many retail investors. What are the Criteria Retail Tenants Care about Most? Retail Tenants come in all sizes – big and small. Some are big box stores and grocery stores, and some are dollar stores or hair salons. However, although store layout and criteria have different requirements depending on the store and industry – here are a few standard criteria many stores rely. These standard criteria are used across all retail stores and are part of Chain Store Lead’s packages. All stores require a minimum and maximum square footage. Clothing Boutiques can range from 500 sqft to 1500 sqft typically. Sleepy’s Mattress stores generally range around 5000 square feet. Square footage determines how much inventory and space the retailer can fit in their store. So this is a a first tier factor on store criteria, assuming the store is in a desirable area for the chain. Secondly is the frontage. What is the minimum frontage the chain requires? Most stores enjoy large windows to attract interest in traffic and display signs. Depending on whether this is an urban or suburban store, frontage will vary from 8 ft to over 200 ft.
Other criteria that a chain may want to know is traffic per day, population radius requirements, median household income in the area, other stores in the same mall and surrounding malls, and preference on location within a mall. Does the retailer want an endcap or drivethru option? It’s important to consider all of these factors when contacting an expanding retail chain. When preparing your real estate proposal, be sure to do some independent research on that specific chain and include all the requirements and criteria above before you mail it to the chain’s headquarters’s real estate department. There are a few ways to bring in more traffic and make your retail space or mall more desirable. Today, we are going to talk about a simple, low cost way to drive more traffic to your shopping center while keeping to a small budget. This article will explain how landscaping, planting trees, bushes, and other greens will boost your property’s appearance and build a warm and inviting atmosphere for customers and tenants to maintain awareness of your property. Compare the two pictures attached to this post. As a customer, think which mall would you prefer to buy a few groceries at. FYI: These two malls are only located about half a mile from each other. First you must consider where your mall is located. Around holiday seasons, hang up decorations to remain relevant. This means during Christmas you should hang up reefs and garlands along your building. On 4th of July, use flood lights with red white and blue shining on the building. On Halloween, project a scary pumpkin video on the side of your building. There are ways to get creative with little space, and store owners and mall owners who execute these tactics will see a larger customer base during these holidays and beyond. In a suburban area, we generally have an area in front of the mall and we are fortunate enough to be able to use this extra space to our advantage. Customers are drawn to dark, green, luscious grass. If you have bald spots or yellow grass in front of your shopping center, I suggest installing a few sprinklers and putting some grass seed down. Customers see a well taken-care-of lawn and see vitality, which attracts customers in. This is a subconscious level observation, and Chain Store Leads has not yet done research on this, but it is in our pipeline. Secondly, along with dark green full grass, add some mulch, trees, and bushes to attract even more customers. If you have dead bushes or trees, remove them immediately. Thirdly, look at your siding. Is it outdated? Many new shopping centers will apply different faces to different storefronts. For example, one store will have a brick store front, one bluestone, the next all glass, etc. Modern shopping centers will do this to attract different tenants and beautify their property, therefore attracting higher quality tenants. Lastly, think about the lighting you are using. Are all your bulbs working? Are they bright enough at night to keep intruders away? What lights are you using on your signs and how many lights are around the sides and back of your mall? Do you have a sufficient number of parking lot lights? If your customers do night shopping with your chain tenants, it’s important to have these systems are working well and provide a safe and inviting environment for your customers. These are some ways to improve the attractiveness, vitality, and value of your mall or retail property. I hope this advice will help you in your endeavors. Please keep in mind of your local laws and zoning rules before making any changes. And as always, Chain Store Leads is happy to provide solutions for mall owners looking to fill an empty space with a new tenant with one of our lead generated packages. 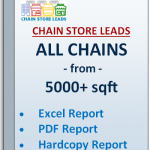 *Some links may be affiliate links where Chain Store Leads may receive a commission of a sale.